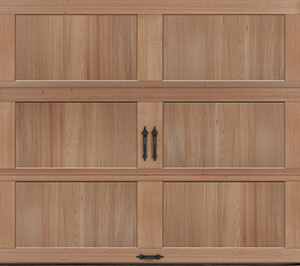 Clopay uses wood that is harvested from sustainable and naturally fallen forestry. 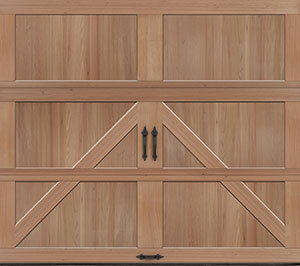 Learn more about RESERVE® WOOD collection SEMI-CUSTOM series construction. 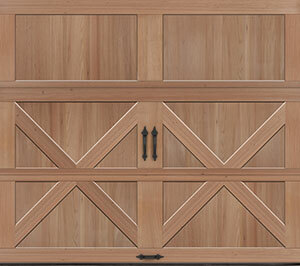 Six base door designs available. 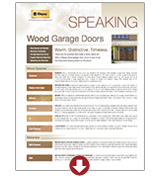 Available wood species include Cedar, Redwood, and Hemlock. Many optional window designs and decorative hardware available. Factory finished doors available in seven popular stains, including natural oak, mahogany and cedar, or painted white. Priming also available for field painting. Learn more about RESERVE® WOOD collection SEMI-CUSTOM series design.